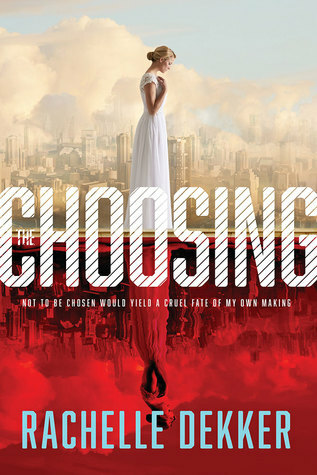 The Choosing is set in a futuristic, dystopian society where a perverse version of legalistic “Christianity” dictates the land, and each member has a life-long role and function in the community. For young women, like heroine Carrington Hale, the highest goal is to be “Chosen” in marriage; and to fail to catch the attention and be chosen by a mate points to the utmost personal failure and a lifetime serving as a “Lint” (social outcast and blue collar laborer). Carrington’s failure is especially surprising, and leads her into a journey of personal discovery as she encounters rebels to the state faith, then finds herself in one unexpected position after another. I love this genre, and the faith and identity issues that the characters and narrative address. The theme of finding God’s love is at the heart of the story, and I cannot think of any subject more important or more difficult to express. Considering that this is Rachelle Dekker’s debut novel, I think it came together very well. I did find the plot a bit predictable, and would have liked more development of the characters. The “seer” aspect of the book was also very subtly introduced, but intrigues me. Since this is the name of series, I look forward to seeing how that unfolds in the coming novel(s). My final criticism is that the alternative “rebellious” spiritual movement seems a little “New Agey” to me–riding the line between truth and the possibility of being misinterpreted as the characters emphasized the truth within themselves without a strong focus on God’s part in the redemptive process. Nevertheless I was caught up in the writing, and enjoyed the unfolding of Carrington’s self-reflection in recognizing who she is, and that her identity is not tied to what she does, rather who she is according to her Father God. This is a message we all need; and, I think, would be especially powerful for teens. When Kelli Huddleston’s father and step mother are killed in a car accident, she discovers amongst her father’s things that nothing is as she thought. He had been hiding newspaper clippings and other evidence of a man and his one year old daughter who had been missing after a boating accident and declared dead, and she realizes he had faked their deaths, and that–contrary to the story he had told her of her past–her mother and siblings may still be alive. 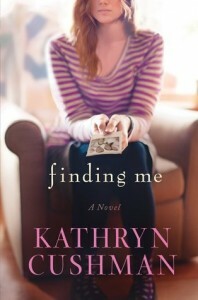 Set on finding the truth about who she is, Kelli travels from her California home to the South to unobtrusively check out her family as a stranger, and to discover herself all over again. 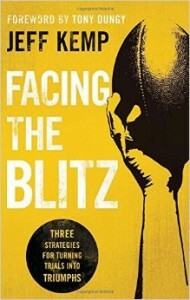 This is an introspective novel, with a captivating storyline and characters. The suspense is in watching the known elements of the narrative unfold, while reflecting on issues of identity, life, and how to respond appropriately within interesting circumstances. I appreciated the emotional depth of the writing, and found myself learning more about myself through the reading experience. I also thought the spiritual aspects of the story were particularly strong–touching but not overdone. There is also a bit of light romance, although this was not a major theme. I have been at the Bethel Healing School this week in Redding, CA, and it has been awesome. People are here from all over the world learning how to rest in God’s love and allow Him to bring healing in and through them. I had a surprise healing gift on Wednesday night. I had started loosing my hair in big patches earlier in the seminary semester while I was still in class. I am still not certain the cause–if it was stress related or something else (I think the latter, although I was too stressed to see yet another doctor; haha. 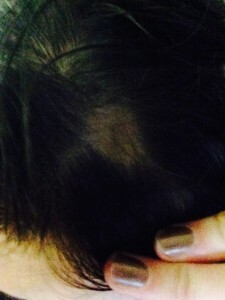 My “internet guess” is Alopecia Areata because of the formation of the spots.). It started as a few small patches, and grew into larger patches. I have had much bigger health issues to worry about, so my hair has not been on my mind as a major need except for remembering the loss as I am brushing it in the mornings. I have had to change my part line because of the largest patch (about the size of a quarter), which is near where I would typically part my hair. The lack of hair has also felt like an indentation, so I have been reminded if I touch my head. Anyway, during last night’s healing session someone had a “word of knowledge” (spiritual wisdom) that God was going to heal baldness right then (many other words were also given, and many others received healing for their needs). I stood to receive healing, and a gal standing behind me prayed over me for this and my other issues. Suddenly, sprouts of hair grew where there had been nothing before. My hair is growing back! Yay Jesus! Ironically, I had felt compelled to take a picture of my missing hair in the hotel on the way to the event that day, because I thought maybe I would be healed soon. So, I have pictures. 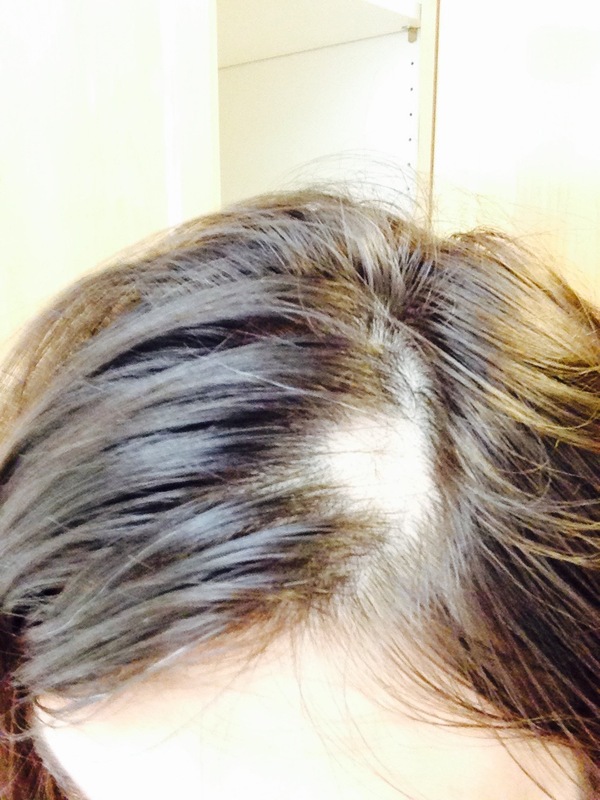 The first picture has a bit of a glare from the bathroom light and morning sun (my head is not really so white, but there were no hairs except a couple full length ones from the center of the patch). The second picture is the same day when I arrived back to the hotel in the evening after sunset, and it is thus a little too dark, but shows the new growth well nevertheless. So, although both pictures are unintentionally exaggerated because of the lighting, I think you will get the idea: missing hair, then small spiky new growth! It is because God loves me. Do you know God loves you too? His love is not connected to what you do. Healing is a free gift, just as salvation is. He heals because He loves. He redeems because He loves. Not being healed does not mean lack of love, but is an invitation to press in deeper–and that is what I am doing with my other health issues. Retired NFL quarterback, Jeff Kemp, shares wisdom and encouragement about facing life’s trials using metaphors and wisdom from his football career and experience. He focuses especially on the biblical principle of gaining a right mindset, which will then influence our thoughts, actions, interactions, and choices. And I also greatly appreciated his wisdom on investing in others and choosing to be team oriented rather than focusing on oneself by consuming. As Kemp details each of his tips for success in life, he shares personal stories full of wisdom, followed by very practical self reflection and application. This book is truly motivational, without the “fluff” that some inspirational books have, and I felt that the activities and reflective questions were helpful and right on point. As I have been battling through my own (health) blitzes, I have been hearing God prompting me toward many of the same things Kemp highlighted. For instance, recognizing that I can trust God and can choose to change my perspective to His perspective by accepting where I am now, and letting Him take me forward into the new things He would have for me, rather than focusing in grief on the past things and dead dreams, which are out of my control. I found so much of this book personally encouraging and life-giving, even if some of it I had heard before (whether through my own athletic experience, or through spiritual teachings). There truly is something healing about being able to focus on the solution (Jesus, and what He is doing), rather than the problems and needs at hand. I also loved Kemp’s application of recognizing the family unit as a team, whereas each spouse chooses to invest in each other and their children. He expresses these truths simply, boldly and practically; and I think any football fan or athlete would relate well to his analogies. 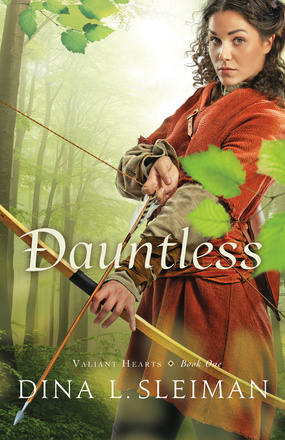 Merry Ellison was raised as the daughter of a Baron, but now she is the fearless leader of “The Ghosts of Farthingale Forest”–a group of bandit children who have been outlawed due to their parents’ crimes, and who now survive in the forest by stealing from the wealthy. Before going into hiding, Merry had been engaged to Timothy Grey, who now works as an assistant to the local earl, in service to the King. When their lives re-connect, they must each decide where their loyalties lie, and allow God to direct their futures. I took a class on the mythology of Robin Hood as an undergraduate, and read tale after tale of various legends written mostly in Middle English and/or Early Modern English, so the idea of this kind of story was really interesting to me, especially with a strong female lead and Christian perspective. I felt like the narrative was missing the expected edge. I cannot explain my disconnect, except that the tone seemed off. Merry seemed a bit soft, and too emotionally driven. I did not like the love triangle, which I felt was cheesy, distracting, and put Merry’s focus too much on romance and not enough on her strong female identity (not that strong females are not also emotional and romantic, but that there should be more depth in addition to those elements). I also struggled to connect with the characters in general. The theology was also interesting. The question comes up regarding whether stealing and violence are sins, or to be precedented in certain situations. The novel presents the latter, but I was a bit uncomfortable with this considering the young adult audience. I did like the second theological message that God is always with us, even when we are not with Him. This is a story with lots of potential, but it did not come together for me as well as I would have liked. I do hope there will be more Christian stories written within this genre and time period.